Recently Google Launched a new Multi Gmail Login feature for its users, which allows them to login different Gmail account from the same browser without signing out, you can check our How to Use Multiple Gmail Accounts Feature here. Now you can also enjoy this feature with Google Chrome Addon, which allows you to manage Multiple Gmail/Google Account with a single click. All you need to do is install the Quick Login For Google Accounts Chrome addon and enter your username and password in the Quick Login options, to use the multiple gmail login feature. Step 2. 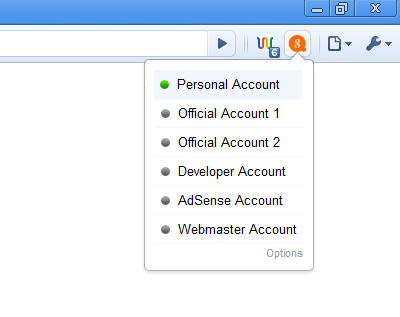 After the installation configure your Google accounts. 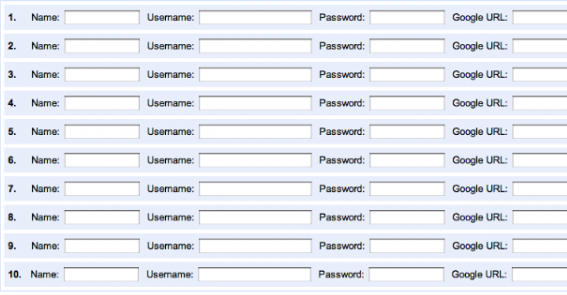 Just enter the Username and Password for your multiple accounts. Step 3. Thats its, now click on Quick Login icon on the top right side to automatically login to other account without singing out. So with the help of this chrome addon you can use two or more Google accounts simultaneously on the same browser.